“My knowledge of Nutripuncture began with my own personal experience and significant and deep work done on my family and myself. The results were so impressive that I decided to continue with my discovery of Nutripuncture, with training to help more people. So it gives me great pleasure and satisfaction that while I am also always working as a therapist in transgenerational I can see that Nutripuncture also has its place in this vast field of family memories.” Read more about Pascale here. 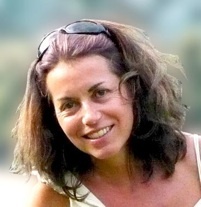 Pascale is the visiting Nutripuncture teacher for this region. She is available for consultation on request at Gallery Helios (Siewfan.Wong@GalleryHelios.com) or Distribution Asiatique de Nutrition (valerie@nutripuncturesingapore.com).